Brave New World: Freeing eLibraries to Compete? The book world appears to be caught wanting on one hand to promote reading, the love of books and sharing books as an experience and at the same time also wanting to repress any thought of ‘free’ that they don’t control through license and DRM. The publicity exposure and promotion of giving away 1 million free books on World Book Night is countered by the stance by many over lending ebooks and HaperCollins’s new rules on ebooks life expectancy being 26 lendings. On one hand we wish to promote ‘free to share’, yet on the other, we face the commercial reality of inappropriate terms. We have long argued about the hypocrisy of free to borrow from the library, versus buy on-demand on the High Street or Internet. As is often is the case within media industries, they react late, often heavy handed and lack any real cohesive position across the market. Today we find that the digital goalposts have moved. Amazon and B&N now both offer 14 day loans and with this we now find a number of new service providers all geared to assisting readers to share ebooks under a commercial umbrella. BookLending, Lendle,eBookFling, ebookexchange, ebooklendinglibrary,Fictionwise Booklends, are but a few of the services now aiming to cash in on sharing or lending books. Before Amazon, B&N and Google etc become the new library services we should explore our options. After all, what is the difference between one exclusive loan by Amazon and another by the public library? Should public libraries ‘rent out’ ebooks, as opposed to the current ‘loan for free’ model? If you find the ebook you want is out on loan and don’t want to wait in the queue, why not buy it online there and then? New York Public Library apparently already has a "Buy It Now" link, which is "powered by" OverDrive and gives a portion of the revenue from purchase back to the library. Is this not merely a shop within a library and why shouldn’t libraries sell as well as loan? 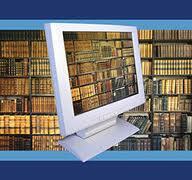 If all public libraries also sold ebooks we could see an explosion of ebook virtual shelf space. We could find ourselves with a new book ‘chain’ , with the libraries becoming white label stores. Public libraries suddenly could enjoy a revenue stream ,that could not only subsidise their continued existence, but also provide a compelling offer of loan, or buy, or even rent. Surely that would promote reading and put the library back in the centre of the community and even promote physical loans.